You've never experienced 'good cop, bad cop' like this before. The news itself sounded like a joke: Funny or Die, the irreverent comedy video site created by the likes of Will Ferrell, among others, was to premiere its first-ever virtual reality short at the Sundance Film Festival. Except this wasn't some Onion-style spoof headline; it was very much true. The piece, Interrogation, debuted last Friday on Gear VR at Samsung Studio, a pop-up VR lounge the company installed in Park City, Utah, for the duration of the festival. It stars Paul Scheer and Rob Huebel, faces better known for their work on FX's The League, as two cops trying to get to the bottom of a heinous crime. It is, in essence, an extended and immersive fart joke. Director Lex Halaby (The Walking Dead: A Decade of Dead) says the shoot was done in two continuous takes, thanks to its relatively simple setup: There's just one room, two cops (played by Scheer and Huebel) and you, the captive viewer. To capture the full 360-degree, 3D environment of the interrogation room, which has both actors moving all around you, Halaby built a custom camera rig comprising GoPros modified with wide-angle lenses. This was then placed atop a mannequin, where its head would be, so the actors could accurately interact and maintain eye contact with the viewer. The result may look seamless, but Halaby says that shooting VR isn't without its own problems. First, there's no way for the director to watch each take as it's being filmed -- an issue Nokia's recently addressed with its Ozo VR camera. Then there's the lighting, which can't be set per scene and instead has to be carried out using a combination of natural and artificial sources like daylight and nearby lamps or overhead fixtures. And finally, there's the matter of stitching. Since the action's being captured by a variety of cameras, each recording has to be blended together so the actors don't suddenly disappear. Though the marriage of Funny or Die and VR isn't immediately obvious, it works out to good effect in Interrogation. Halaby believes that immersive setting gives comedy an extra push that takes it from reality to a state of "heightened reality." "I think that's something that VR can do that can't be done in another medium," he says. 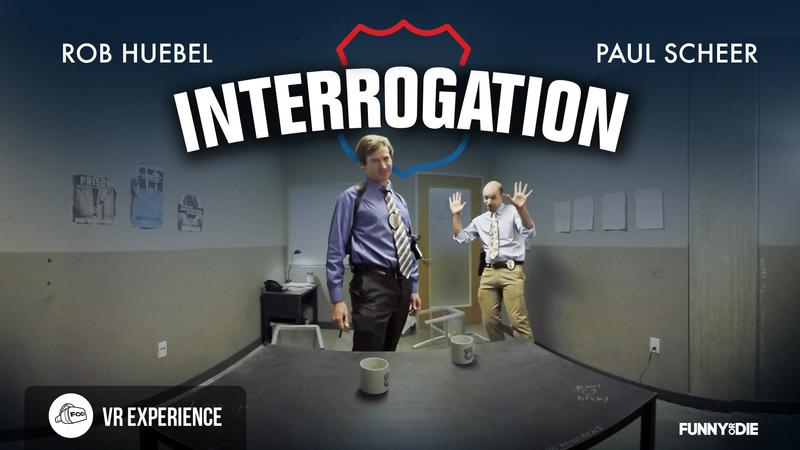 Right now, Interrogation can be viewed by anyone with access to a Gear VR -- it's currently being hosted on Samsung's Milk VR app. But Halaby says the plan is to put the piece into wide release soon and make it available for most every VR platform accessible to consumers. As for whether this was just a one-off experiment for Funny or Die, Halaby says to stay tuned. "There's a couple things in the works. 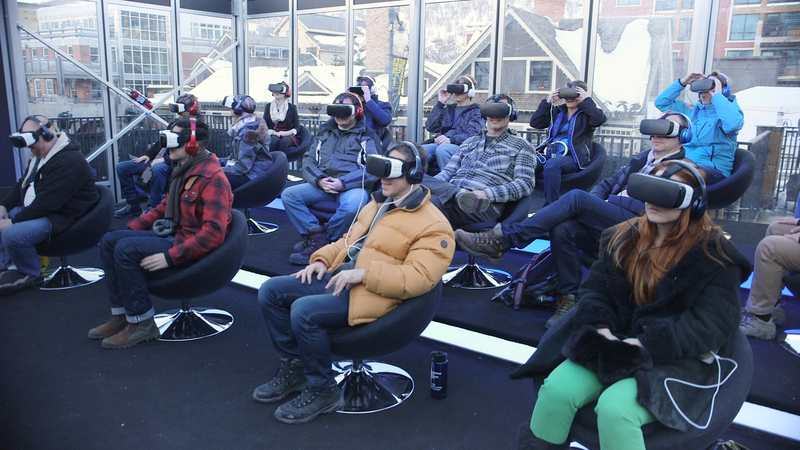 This will not be the last VR piece coming out of Funny or Die."